London Stansted Airport, which already this year has opened up significant new segments on the map for local companies to exploit, has joined a heavyweight list of sponsors for this year’s Business Weekly Awards, launched today. Companies and individuals in a broad raft of business segments will again be acknowledged and join an impressive list of former champions when the winners are unveiled at next year’s invitation-only presentation dinner. Candidates are being urged to enter right away as the judging process begins with the launch. We chart the progress of competing individuals and companies in the seven months before final decisions are made. Comprehensive, forensic reports are compiled on each and every entrant to ensure the very best are honoured. London Stansted was itself a winner last year, capturing the International Trade Champion crown. That choice by our judges has been handsomely underlined by the airport’s continued investment in new routes and facilities since the start of 2018. With Primera Air it has introduced direct flights to New York, Boston, Washington and Toronto. Emirates’ arrival has brought Dubai as a new hub into the mix and the spokes from that destination reach into broader Asia Pacific. Now airport owner M.A.G is redoubling its efforts to bring direct services to China and India to the fast-growing Essex hub. At the same time London’s third busiest airport has welcomed a record 27 million passengers in the last 12 months and serves 200 destinations. It has permission to handle 35 million passengers a year ands plans to increase capacity to 43 million. It is heavily into a £600m terminal transformation programme. International flavours and fragrances innovator Treatt plc in Bury St Edmunds is the reigning Business of the Year following the gala dinner at Queens’ College in March. Today marks the launch of the 29th annual competition and winners of the various categories will be unveiled Oscars-style on March 20, 2019 – again at Queens’. Categories range from startups and disruptive technology to engineering excellence, social enterprise and international trade. 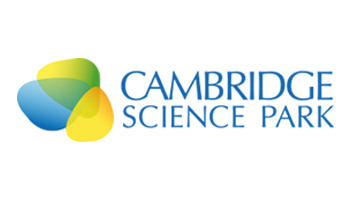 The University of Cambridge, through Judge Business School and Cambridge Enterprise, is again backing four categories to honour the best graduate businesses, the leading women entrepreneurs, individuals who have contributed most over a lifetime to furthering the Cambridge brand, and to ‘Dontrepreneurs’ – university personnel that have commercialised science or technology that has changed the world. A trio of high profile Cambridge entrepreneurs have been added to the already powerful judging panel for this year’s Business Weekly Awards. Claire Ruskin, a celebrated engineer and CEO of a revitalised Cambridge Network; Dr Darrin Disley, the dynamic life science entrepreneur and social enterprise champion; and Bob Driver, former director of technology for UKTI, director of Cambridge Wireless and CW steward on the Government’s new UK5G innovation network – have reinforced the ‘Solomon strain’ that ensures our winners really are the best in business. A review of the types of companies that have claimed the overall Business of the Year title since launch in 1990 not only shows a good spread in terms of nature of business but also demonstrates the march of Science & Technology. In the first seven years of the competition, five of the champions were rooted firmly in industry and only two in what could be accurately described as hi-tech. It took nine years before a healthcare-related business won and 13 years before the first genuine Life Science company was named Business of the Year – vaccines innovator Acambis. In the following 10 years, only two industrial companies broke the technology sector’s Awards stranglehold; in that decade, of the 10 winners, three were BioMedTech companies and the other five were all high technology operators. Three of the last five champions have been in hi-tech or BioMedTech but it should be added that during most of this time, there has also been a dedicated Life Science Innovation award sponsored by AstraZeneca and MedImmune. 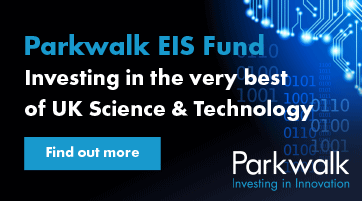 The number of biotechs up on the stage on Awards night across various categories has therefore been phenomenal even for the Cambridge Phenomenon. Twelve of our champions have been sold for more than $65 billion; investment secured globally by winning businesses in the last five years alone – across all categories – now comfortably tops $250bn. Startup of the Year – For the most exciting startup enterprise in any sector founded in the last 12 months. 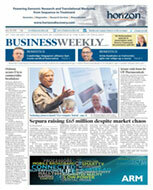 Other Awards recognising outstanding achievement may be made at Business Weekly’s discretion.